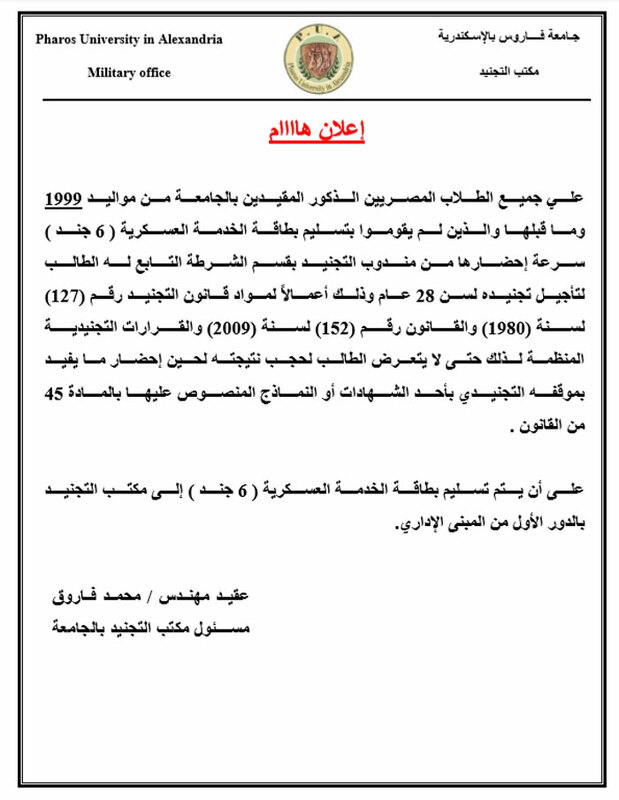 All PUA Egyptian male students, who were born in the 1990s and have not submitted their military service card (Form #6), should instantly obtain it issued by the Conscription Officer in the Police Station they are affiliated with, in order not to be enlisted in the army till the age of 28. 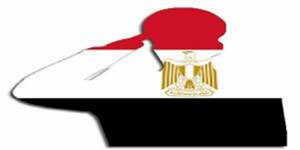 This statement is made pursuant to the Egyptian Military Service Law No.127, enacted in 1980, and the Egyptian Military Service Law No.152, enacted in 2009. The students hereby must submit the certificates or forms of their military status; as stipulated by the Egyptian Military Service Law No. 127, Article (45), otherwise they will be barred from obtaining their results.